Welcome to my new installment: Tips and Tricks on Tuesdays! I am going to share quick tips and tricks that help me get through my crazy days. 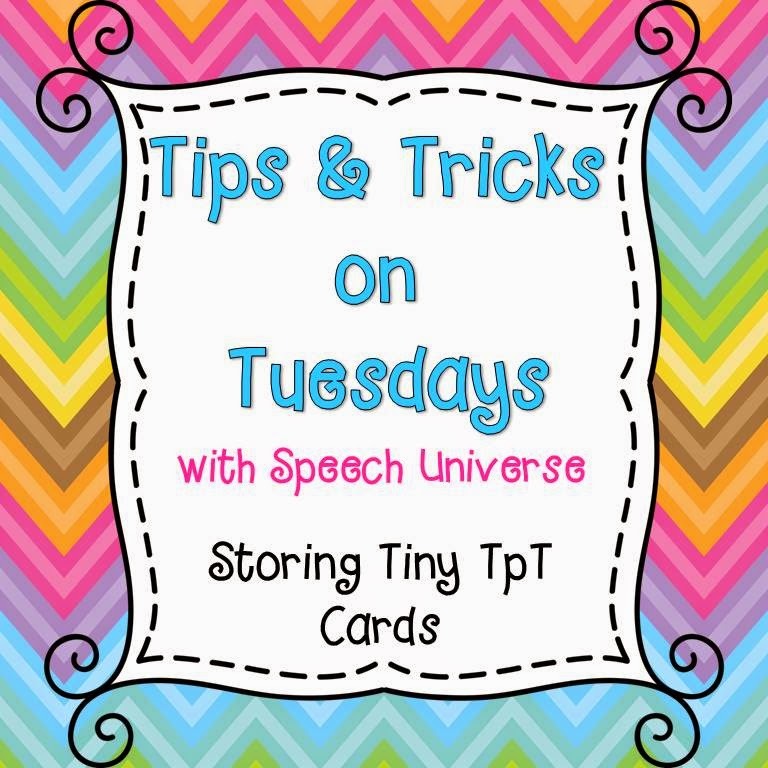 My first tip is for storing cards that go with TpT activities. I started out using big Ziploc bags for each activity, but the bags never seemed to close right, and the cards still ended up all over the place. When I did my file cabinet makeover last summer, I vowed to re-organize my TpT products, especially my book companions. I decided to put each book companion in a hanging green file, and put each individual activity in its own file folder. But, what would I do with all of those cards to keep them from falling out of the files when I picked them up? Solution: envelopes. I take a business sized envelope and seal it. Then, I cut it in half and glue it to the inside of my file folder. I label the envelope as needed, and I can place my cards inside without worry that they will be sliding all over the inside of the file folder. I can then place the rest of the pages for the activity in the file, and store it all in my green hanging file. Sometimes I even place the book in the file if it is a book companion. There it is. My first Tip and Trick on Tuesdays! Hope you can use it!